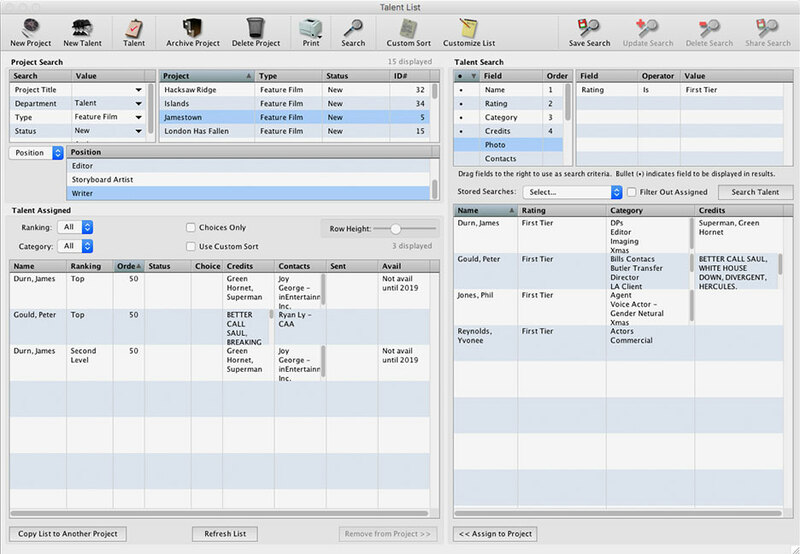 The Talent Module produces talent availability and wish lists for all your projects. Copy pre-existing saved lists to new projects. Keep track of past credits, availability, script submissions and contact information for various types of talent. Generate custom credit lists for your talent, using only the credits you want to highlight. Keep talent rankings in the system, automatically recalled whenever you add the talent to a list. With multiple user access the Talent module gives your company a true collaborative tool for project management. inEntertainment’s Talent module is the ideal tool for Producers and Studio Executives who need to manage talent lists for projects in development.